The head stock vertical movement is provided by a pre-loaded rack and pinion gear adjustment system. 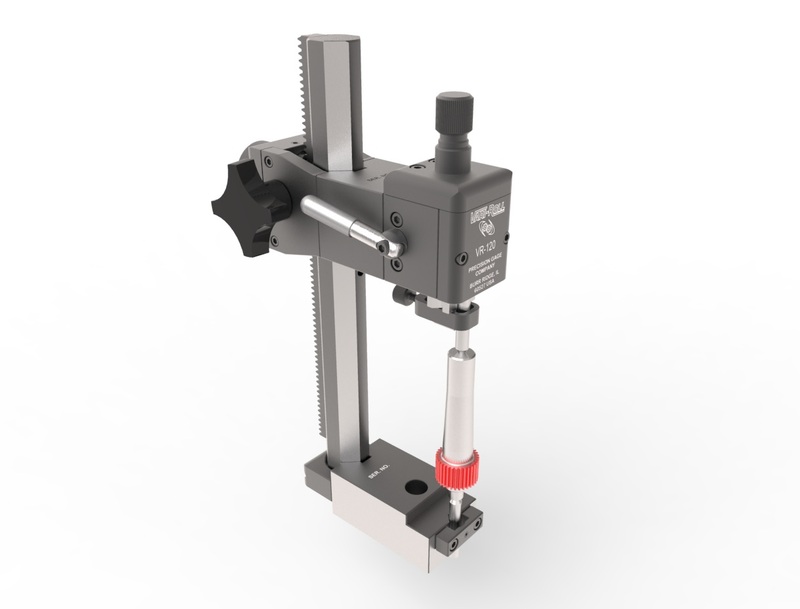 The upper center has an adjustable spring load with retraction in a preloaded ball bearing slide to provde low friction positioning and superior accuracy. .0001”/inch or .00005”/inch inline and axial alignment or vertical centers and headstock vee are available. Male or female centers, bull nose centers and Special locators are available in steel or carbide. Vertical Center Attachments are equipped with a set of steel male 60-degree Style #1 full centers.